"Arafel": "States with Legal Marijuana see 25% Fewer Prescription Painkiller Deaths"
"States with Legal Marijuana see 25% Fewer Prescription Painkiller Deaths"
Quote: "One unexpected benefit of medical marijuana legislation appears to be a decrease in painkiller overdoses, perhaps because some chronic pain patients are turning to cannabis instead of powerful opioid drugs. In states with laws legalizing medical marijuana, new research shows there are nearly 25 percent fewer deaths from painkiller overdoses. 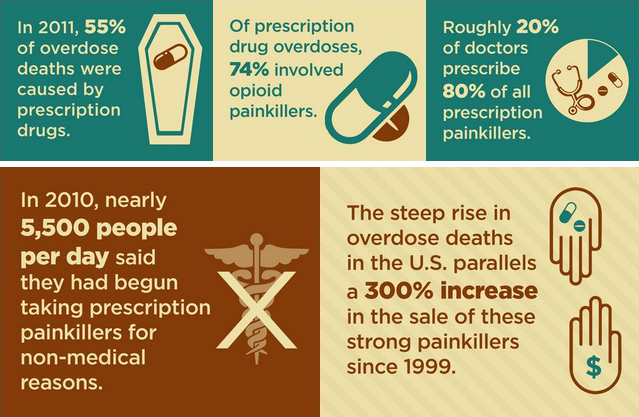 Opioid painkiller overdoses are a growing problem nationwide. More than 16,500 Americans died of opioid drug overdoses in 2010, and the numbers continue to rise. Although a casual relationship hasn’t been proven, there appears to be a significant association between marijuana legislation and a fall in overdose deaths. Researchers from the University of Pennsylvania reported that in states that enacted medical cannabis laws between 1999 and 2010, there was a 24.8 percent lower annual opioid overdose death rate, compared to states without medical marijuana laws. The study was funded by grants from the National Institutes of Health and the Center for AIDS Research at the Albert Einstein College of Medicine in New York City. “We found it surprising that there was such a large difference in opioid painkiller overdose rates associated with implementation of a medical marijuana law,” said lead study author Dr. Marcus Bachhuber, a VA Scholar at the Philadelphia Veterans Affairs Medical Center. Researchers think that lower overdose rates could be due in part to other things states were doing to address prescription painkiller overdoses during the same period, such as providing public education on painkiller abuse. According to the American Academy of Pain Medicine, 1.5 billion people worldwide suffer from chronic pain. Opioid painkillers have long been an option for treating that pain, but their use comes with an inherent risk of addiction and death from an overdose. Chronic pain is also a major driver of medical cannabis use, which is why the researchers wanted to see whether medical marijuana laws and deaths from opioid overdoses were linked at the state level. Researchers analyzed medical cannabis laws and death certificate data from 1999 to 2010. In 1999 three states — California, Oregon, and Washington — had medical marijuana laws. Ten more states enacted medical marijuana laws between 1999 and 2010. Primary care physicians take care of people with chronic pain. It’s inevitable that at some point, a patient will come down with aches and pains and head in to see a doctor. As a primary care provider, Bachhuber sees patients living with chronic pain, some of whom tout the benefits of medical marijuana use. Bachhuber and his colleagues wondered how having access to alternative options for pain relief would impact painkiller use. “We thought maybe, if people chose marijuana over prescription painkillers on a large scale, medical marijuana states might see relatively lower rates of painkiller overdoses — and even overdose deaths,” Bachhuber says. It turned out that his hunch was correct. As more states and physicians navigate the legality and use of medical marijuana, it will be important to consider its risks as well as its positive fringe benefits. I did some work on this subject for The Legalise Cannabis Campaign in the late '80s and wrote a consultation/lobbying piece for Parliament. Interestingly there appears to be a direct correlation between illegality and over-use, using the Dutch figures the perecentage of regular users went down not up following decriminalisation, it was found that users were less stressed and that consequently they did not require the same quantities or regularity of use as before. There appears to be a direct endocrinic relation between adrenaline production and the need for marijuana (in those who would benefit from its therapeutic effects); "but hey like we knew that man!" Illegality throws the law-abiding into the hands of the criminals is it any wonder "joe-public" gets tense?